What is the cheapest way to get from Cork to Cobh? The cheapest way to get from Cork to Cobh is to drive which costs 2€ - 4€ and takes 21m. What is the fastest way to get from Cork to Cobh? The quickest way to get from Cork to Cobh is to taxi which costs 30€ - 40€ and takes 21m. Is there a direct bus between Cork and Cobh? Yes, there is a direct bus departing from South Mall and arriving at County Cork, Haulbowline. Services depart hourly, and operate every day. The journey takes approximately 45m. 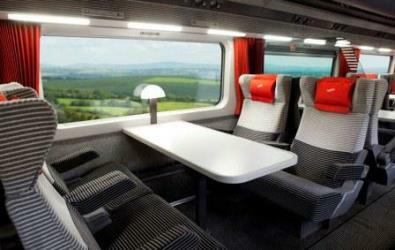 Is there a direct train between Cork and Cobh? Yes, there is a direct train departing from Cork Kent and arriving at Cobh. Services depart hourly, and operate every day. The journey takes approximately 24m. How far is it from Cork to Cobh? The distance between Cork and Cobh is 13 km. The road distance is 22.2 km. How do I travel from Cork to Cobh without a car? The best way to get from Cork to Cobh without a car is to train which takes 24m and costs 4€ - 7€. How long does it take to get from Cork to Cobh? 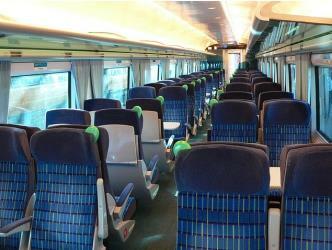 The train from Cork Kent to Cobh takes 24m including transfers and departs hourly. Where do I catch the Cork to Cobh bus from? Cork to Cobh bus services, operated by Bus Eireann, depart from South Mall station. Where do I catch the Cork to Cobh train from? Cork to Cobh train services, operated by Irish Rail, depart from Cork Kent station. 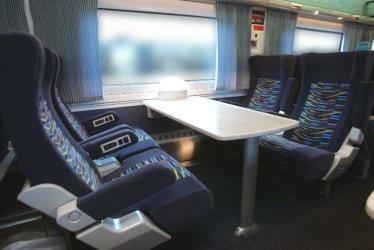 Train or bus from Cork to Cobh? The best way to get from Cork to Cobh is to train which takes 24m and costs 4€ - 7€. 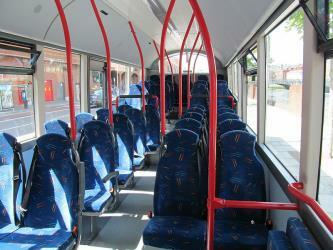 Alternatively, you can bus, which costs 3€ - 9€ and takes 45m. What companies run services between Cork, Ireland and Cobh, Ireland? 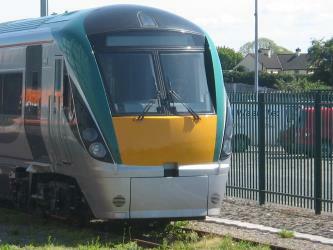 Irish Rail operates a train from Cork to Cobh hourly. Tickets cost 4€ - 7€ and the journey takes 24m. 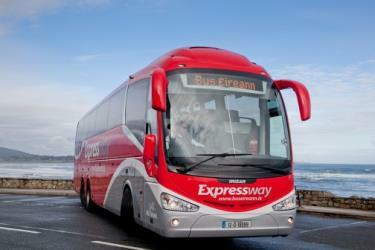 Alternatively, Bus Eireann operates a bus from Cork to Cobh hourly. Tickets cost 6€ - 9€ and the journey takes 45m. 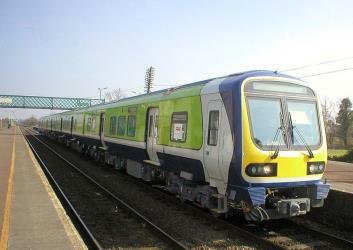 Transport for Ireland also services this route every 3 hours. Rome2rio's Travel Guide series provide vital information for the global traveller. Read our range of informative guides on popular transport routes and companies - including Getting to Milan from the airport, How do I buy a London Underground ticket? and How to get from Heathrow Airport into central London - to help you get the most out of your next trip. Where does the Cork to Cobh bus arrive? 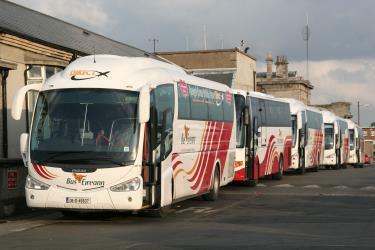 Cork to Cobh bus services, operated by Bus Eireann, arrive at County Cork, Haulbowline station. Where does the Cork to Cobh train arrive? Cork to Cobh train services, operated by Irish Rail, arrive at Cobh station. Can I drive from Cork to Cobh? Yes, the driving distance between Cork to Cobh is 22 km. It takes approximately 21m to drive from Cork to Cobh. Where can I stay near Cobh? There are 220+ hotels available in Cobh. Prices start at 75€ per night. Discover how to get to attractions and hotels near Cobh. The Cobh Heritage Centre is a museum located in Cobh, County Cork, Ireland. It is attached to Cobh railway station. Camden Fort Meagher is a coastal defence fortification close to Crosshaven, County Cork, Ireland. Together with similar structures at Fort Mitchell (Spike Island), Fort Davis (Whitegate), and Templebreedy Battery (also close to Crosshaven), the fort was built to defend the mouth of Cork Harbour. Though originally constructed in the 16th century, the current structures of the 45 acre fort (65% of which is underground) date to the 1860s. Originally named Fort Camden and operated by the British Armed Forces, the fort (along with other Treaty Port installations) was handed-over to the Irish Defence Forces in 1938. Renamed Fort Meagher in honour of Thomas Francis Meagher, it remained an Irish military installation until 1989 when the Irish Army handed the fort over to Cork County Council. It remained largely overgrown until 2010 when a group of local volunteers began restoration and development of the fort for heritage and tourism purposes. The fort was renamed Camden Fort Meagher and is now open seasonally to visitors, with exhibits on the fort's Brennan torpedo installation (the world's first "practical guided weapon") and one of the only resident 9/11 exhibits outside the United States. Rome2rio makes travelling from Cork to Cobh easy. Rome2rio is a door-to-door travel information and booking engine, helping you get to and from any location in the world. 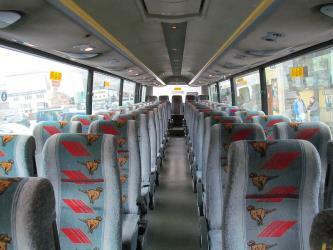 Find all the transport options for your trip from Cork to Cobh right here. Rome2rio displays up to date schedules, route maps, journey times and estimated fares from relevant transport operators, ensuring you can make an informed decision about which option will suit you best. Rome2rio also offers online bookings for selected operators, making reservations easy and straightforward.